Believers Bookshelf - Are We Nearly There? The family are off on holiday. Dad and Mum in the font seats are feeling a bit worn out, what with the effort of getting ready and packing, and the worry about leaving something behind. In the back the kids are bubbling with excitement, the whole of their holiday ahead of them. For the first ten miles or so everything goes well. And then comes a little voice from the back seat: Daddy, are we nearly there? Dad's heart sinks: he's going to hear that question for a few times more before journey's end, and in between there will be grumbles and squabbles and tears, and his nicely cleaned car will end up looking like a litter bin. The journey we are going to take in this booklet will be different, because it will be a spiritual rather than a material journey. It will be about where God wants us to get to in our Christian lives, and the experiences we can expect on the way. 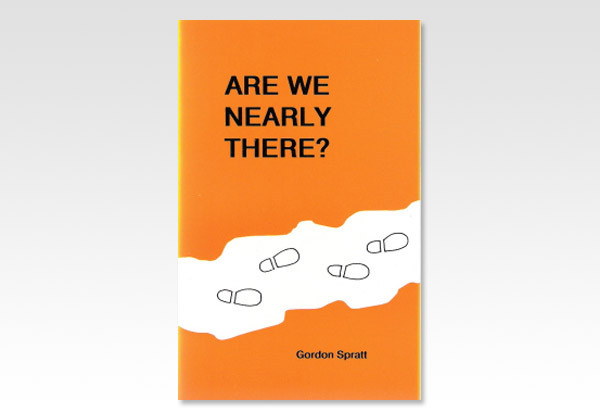 But perhaps we shall often have to ask ourselves the same question: Are we nearly there? The children in the back of the car may know very little about where they are going, though they are sure that it will be great when they get there. Do we understand where God is taking us in our Christian experience? Do we know how far we have come, and how much of the spiritual journey still lies ahead? And have we a clear picture of just what may happen to us on the way?